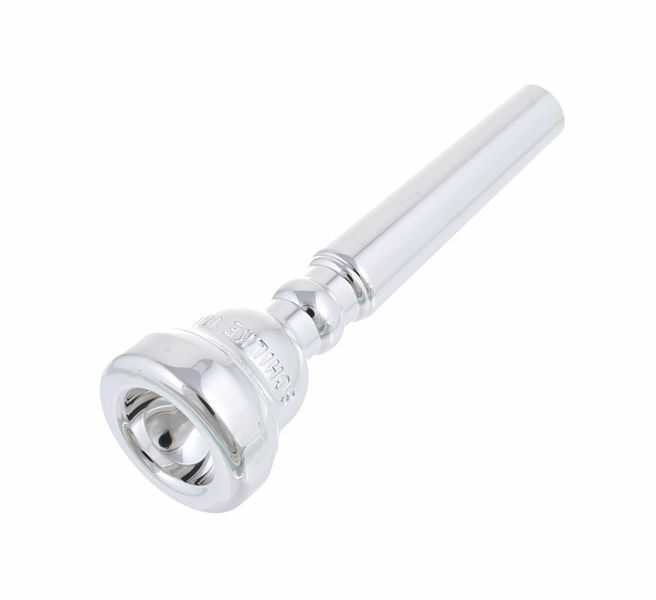 Legend has it that the Schilke 16C4 is supposed to be a copy of Thomas Stevens Bach 1.5C but it feels a very different mouthpiece to the Bach 1.5C. 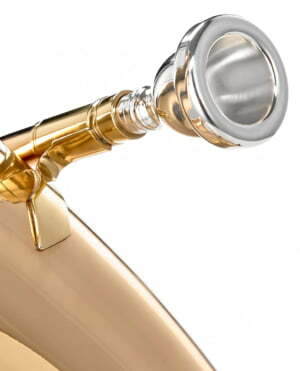 Mouthpiece appreciation is of course entirely subjective but for me the 16C4 feels very tight and a little too bright. Different strokes for different folks though! Good mouthpiece at an unbeatable price! The 16C4 has a diameter of 16 which remains in the standards but adapted to thick lips. The bowl does not change compared to a standard mouth 1 1/2 C.
on the other hand, the shape of the edges change. Here 4 indicates flat edges. Very comfortable, it allows you to acquire an endurance more quickly. Indeed, the more you play on round edges, and the more the lip "cuts". With this mouth, the worries of fatigue happen less quickly.The disadvantage of a flat edge feels on the suppleness.The lip surface is more important therefore less flexible. To conclude, I play this mouthpiece for the repertoire street music then opted for a 1C bach for questions of flexibility in the repertoire classic. ID: 112322 © 1996–2019 Thomann GmbH Thomann loves you, because you rock!